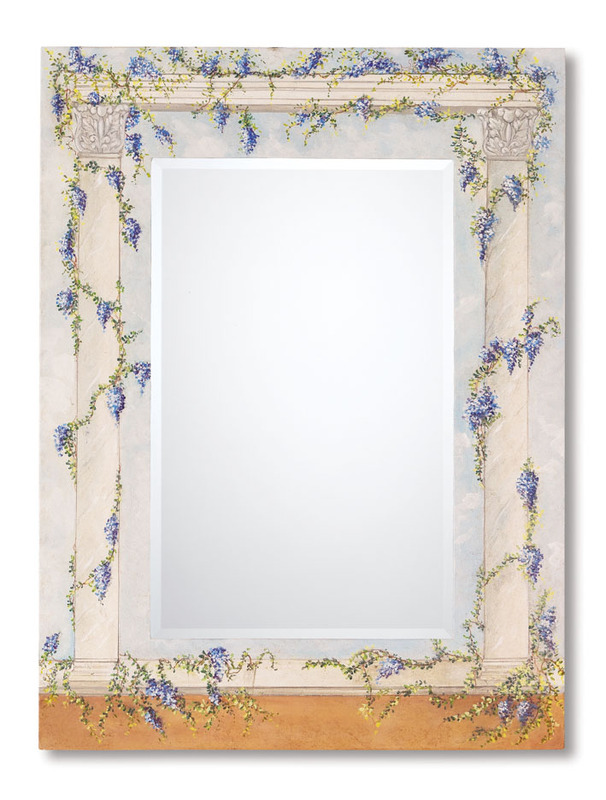 Very elegant and original new idea for mirrors with authentic frescos as frame. The standard outside dimensions are: 27x35", 31x43", 35x47", and 39x71". The fresco border is about 7½" wide and it is mounted on solid wood. Custom sizes and designs available upon request. Call us today for a quote.